You are here: Home / Reader Favorites / Could These Facts Help You Avoid Filing A Federal Tax Return? Mom (who is 70) is on Social Security and worked part time at Burt’s FastBurgers to earn a little extra and socialize a bit more than she might otherwise be able to (Dad died a few years ago and she likes to get out). Of course, sometime in January she got a W-2 from Burt’s as well as a couple of 1099s with interest income on a number of CDs. Being the good boy/girl that you always have been, you are gathering up a 1040, the 1099-SSA, the W-2, and other forms and getting ready to figure out Mom’s taxes. But wait! Do you REALLY need to file a federal tax return? Keep in mind this article applies to federal income tax returns. Mom might be lucky enough to live in an income-tax free state like Florida or she may live in North Carolina (as do many of the readers of this article). Check your state! In Mom’s case, if she lives in North Carolina she may have to file a North Carolina return, which (alas) also means she’ll have to file a federal return. You can read about Mom in North Carolina HERE. But in this article we are looking at federal income taxes only. Back to the feds. Mom may not need to file a federal income tax return. If Mom’s “gross income” is less than $13,600 ($12,000 if she was under 65 . . . but she’s not) you might be able to find something else to do other than fill out Mom’s federal tax returns (unless, of course, she must file a state return, in which case she’ll get stuck with the hassle of also filing a federal return). By the way, had Mom been married, and both she and Hubby were over 65 and they were filing jointly, the magic “file/no file” number would have been $26,600, and if just one of them was over 65, the number would have been $25,300. But back to single Mom over 65: $13,600 is the magic number. The question is: How does the Social Security she received count? Look at the 1099’s (except from Social Security) and the W-2 from Burt’s and add them up. Let’s say the Burt’s W-2 shows $6,500 gross income paid, and the 1099-INT forms from the banks show interest income on the CDs of $3,000. Mom’s total gross income from sources other than Social Security is $9,500. How Will Social Security Count? Now take a look at Mom’s 1099-SSA. Let’s say Social Security paid Mom total benefits of $19,200 during the year. Divide that by half. That equals $9,600. Add half the Social Security paid to the total of other income received by Mom. $9,600 + $9,500 = $19,100. If half the Social Security benefits and the total of all other income is $25,000 or less ($32,000 for a married couple filing jointly), then none of the Social Security counts. In Mom’s case the number was $19,100 . . . which we all realize is less than $25,000. Therefore, Social Security will not enter the tax picture. That Leaves Us With . . . Mom had non-Social Security earnings of $9,500. You are able immediately to surmise that Mom’s “gross income” is less than $13,600. Stuff the W-2 and the 1099s back in the envelope to give back to Mom. Sweep the blank tax return forms into the trash. Go watch something fun on Netflix . . . you’re off the hook! Unless, of course, she has to file a state tax return. What if Mom’s income from Burt’s and the CDs is $15,000, but when added to half her Social Security benefits is less than $25,000? To be precise, her gross income would be $24,600 ($15,000 + $9,600). She’ll need to file a federal tax return because her gross income edged up over $13,600 ($15,000), but her Social Security Income will not be taxed because half her Social security Income ($9,600) and her total other income ($15,000) still do not exceed $25,000. But what if half of Mom’s Social Security and all other income exceeds $25,000? Turn off Netflix, and read the next article. We have a little work to do. Both my parents effected POAs in 2008 naming each other as primary POA. Neither of them is able or willing to perform that duty now and want to name the successors as primary POA. How can we accomplish this? Do we need to have new documents drawn up? Will a simple signed document be acceptable? No need for new documents if successors are named in the originals. There is nothing clear under NC law as to what to do to “move up” the successors. First, it depends what the applicable financial institutions insist on and whether they’ll accept a simple statement. If your parents are able to sign, then the safest might be a simple signed and notarized statement saying they are unwilling to continue to serve . . . cross reference the original POA by book and page, and then file that “renunciation” at the register of deeds. No particular form. in order not to file taxes you must meet the state requirements. In North Carolina if you earn more than $8250 plus Social Security for Singles and more than $16500 plus Social Security for married filing joint you must file state taxes. A federal return is required to file a state tax. CheeChee, you are correct. My bad in focusing too much on the feds. Please see my response to Dale . . . and thanks for pointing out that omission. Thank you, Mr. Mason–I appreciate your prompt response. Now, may I ask another question.? Mom and Dad have funds in joint accounts at two financial institutions, one a bank and the other a brokerage firm. Is there a smart way to get those funds put into their Joint Revocable Trust without penalty or a 5-year lookback? Or is there another vehicle that may be more advantageous? Neither is in good health, and at ages 92 and 87, respectively, they probably won’t have another five years. They want to protect as much as possible from probate. Their personal residence and property is already in their trust. I’ve enjoyed your last two presentations in the series of workshops and look forward to the last one on Wednesday. Thanks again for the good information you share. I’m a married 48 yr old disabled vet that will be doing a short term consulting job for my wife company; my total expected earnings will be less than $12,000. I have no other taxable income for 2015, will I have to pay taxes on this money since the company will be issuing a 1099? That’s really tough to answer, Michael, because it depends on your wife’s earnings as well. If you two file jointly and have income in excess of $20,300, you’ll have to file. The amount of tax your additional $12,000 in earnings will generate depends upon how much income your wife generates . . . that total will determine your tax bracket. In other words, if she earns $20,000, your total gross income is $32,000 and will be taxed at the 15% bracket. If she earns $200,000, household income will be $212,000 and you’ll be taxed at the 28% bracket. Of course, all that is if you file jointly. Don’t overlook NC state filing requirements are much lower than IRS. People often get tripped up by looking only at IRS and then getting penalized by NC. You are absolutely correct, Dale. I have readers in several states and I was being a bit myopic in zeroing in on the feds. 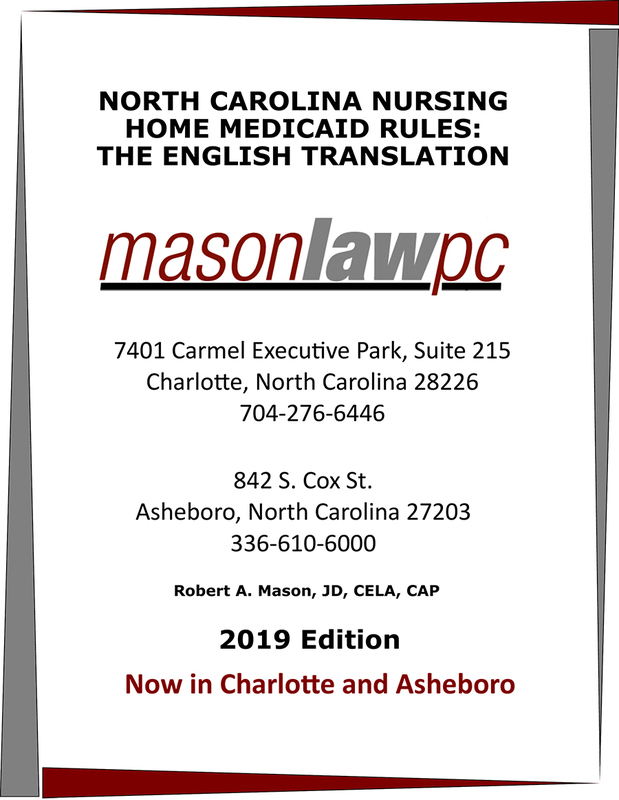 I have updated and clarified the article for North Carolina readers’ benefit. Thanks for poking me on that.